The fine art prints in this exhibit were given to Summer by Hawk. 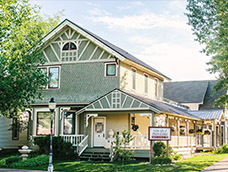 Following Summer�s death in 2012, the Tread of Pioneers Museum received the collection of fine art prints along with many other items of historical significance from four generations of Summer heirlooms. 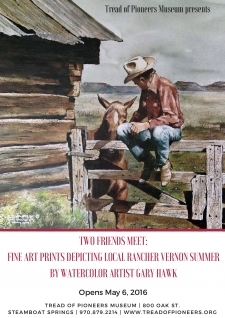 We hope you will join us on Friday to see the true spirit of our Western heritage preserved through this timeless art.